"Our mission is to help our clients to achieve their goals by providing survey-based information that is objective, accurate, relevant, timely and clear." The Center is a unit of the University's Weldon Cooper Center for Public Service with strong ties to the academic and health sciences faculties of the University. We have an outstanding support staff and maintain an experienced pool of trained interviewers. Our Computer-Aided Telephone Interviewing (CATI) facility has been expanded to 23 stations and has full capability for interviewer monitoring. We also have access to Qualtrics technology to assist in conducting sophisticated and user-friendly online surveys. During the past several years, we have conducted surveys for local governmental agencies around the state, for administrative and medical units within the University, and for individual scholars who have received support either from federal agencies or foundations, or public-interest non-profit groups. How and when did CSR get started? Beginning with an internal equipment grant to the Sociology and Government and Foreign Affairs Departments for a calling lab, Professors Thomas Guterbock and Steven Finkel drew up detailed plans for a survey research center in February 1988. CSR's first projects involved conducting class polls within the two academic departments. CSR was constituted as a separate service unit within Arts & Sciences at the University in September 1989, with Mr. Guterbock appointed as directors. From there it developed into a full service polling facility. More recently, CSR expanded into new office space at Old Ivy Road. We now have a 23-station calling lab and are a unit of the University of Virginia's Weldon Cooper Center for Public Service. Can I work at CSR? Periodically, CSR offers part-time employment for various projects. We frequently utilize employment through UVA temporary services. Full-time University of Virginia students may apply either through the Student Employment section of the Human Resources Department or directly to CSR. All other personnel must apply through the University of Virginia Department of Human Resources. Whom do I contact about employment opportunities? Contact Deborah Rexrode at (434) 243-5229 for research project and office management positions. Contact the CATI Lab at (434) 243-5226 for telephone interviewer positions. Survey research is most simply defined as research that involves systematically asking people questions. Usually, surveys involve scientifically drawn samples of respondents. 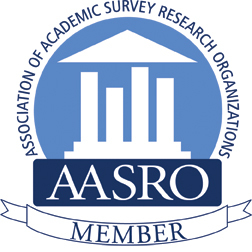 Here are some useful links for AAPOR and other survey institutions of note. Qualtrics is the web-based software used at CSR to conduct surveys via the web. Qualtrics allows for the creation of sophisticated surveys in a flexible, easy-to-use design. The software also stores all the response data and allows for easy download in multiple different formats. Random-digit-dialing is a method used to give all phone numbers in a selected region an equal chance of being dialed. By adding a random number 4-digit number to a given prefix, a complete telephone number is created. This allows us to reach those telephone numbers that may be unlisted. What are CATI and CAPI? Computer-Assisted Telephone Interviewing (CATI) is a method of telephone interviewing in which questions appear on the computer screen in programmed sequence as the interviewer presses the keys on the keyboard to record the respondent's answers. Accurate, instantaneous data entry is assured by the system. The computer system stores the database of telephone numbers and is used to control the sampling process, dial each sampled number, schedule callbacks, and record the disposition of each attempted call. Computer-Assisted Personal Interviewing (CAPI) uses similar technology except that the answers are recorded on an individual laptop or other portable device and then later compiled and aggregated. This is used for in-person or face-to-face interviewing. A. We shall exercise due care in developing research designs and survey instruments, and in collecting, processing and analyzing data, taking all reasonable steps to assure the reliability and validity of results. We shall recommend and employ only those tools and methods of analysis which, in our professional judgement, are well suited to the research problem at hand. We shall not select research tools and methods of analysis because of their capacity to yield misleading conclusions. We shall not knowingly make interpretations of research results, nor shall we tacitly permit interpretations that are inconsistent with the data available. We shall not knowingly imply that interpretations should be accorded greater confidence than the data actually warrant. B. We shall describe our methods and findings accurately and in appropriate detail in all research reports, adhering to the standards for minimal disclosure specified in Section III. 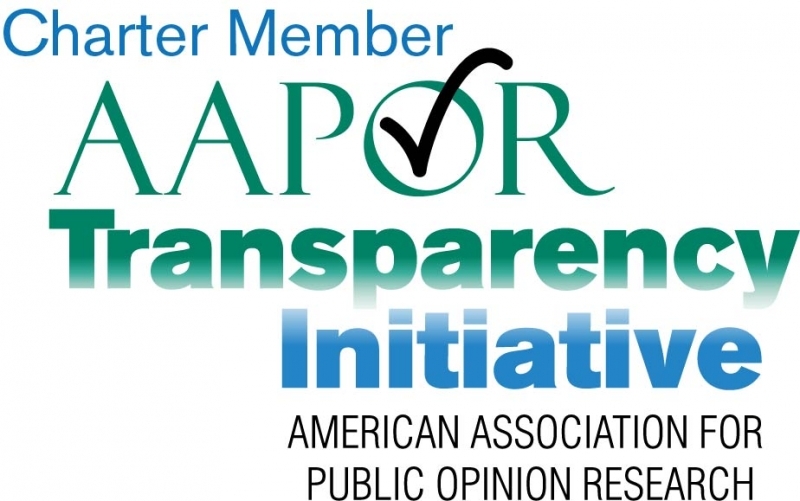 C. If any of our work becomes the subject of a formal investigation of an alleged violation of this Code, undertaken with the approval of the AAPOR Executive Council, we shall provide additional information on the survey in such detail that a fellow survey practitioner would be able to conduct a professional evaluation of the survey. If we become aware of the appearance in public of serious distortions of our research, we shall publicly disclose what is required to correct these distortions, including, as appropriate, a statement to the public media, legislative body, regulatory agency, or other appropriate group, in or before which the distorted findings were presented. When undertaking work for a private client, we shall hold confidential all proprietary information obtained about the client and about the conduct and findings of the research undertaken for the client, except when the dissemination of the information is expressly authorized by the client, or when disclosure becomes necessary under terms of Section I-C or II-A of this Code. We shall be mindful of the limitations of our techniques and capabilities and shall accept only those research assignments which we can reasonably expect to accomplish within these limitations. We recognize our responsibility to contribute to the science of public opinion research and to disseminate as freely as possible the ideas and findings which emerge from our research. We shall not cite our membership in the Association as evidence of the professional competence, since the Association does not so certify any persons or organizations. We shall strive to avoid the use of practices or methods that may harm, humiliate, or seriously mislead survey respondents. Unless the respondent waives confidentiality for specified uses, we shall hold as privileged and confidential all information that might identify a respondent with his or her responses. We shall also not disclose or use the names of respondents for non-research purposes unless the respondents grant us permission to do so. Who sponsored the survey, and who conducted it. The exact wording of questions asked, including the text of any preceding instruction or explanation to the interviewer or respondents that might reasonably be expected to affect the response. A definition of the population under study, and a description of the sampling frame used to identify this population. A description of the sample selection procedure, giving a clear indication of the method by which the respondents were selected by the researcher, or whether the respondents were entirely self-selected. Size of samples and, if applicable, completion rates and information on eligibility criteria and screening procedures. A discussion of the precision of the findings, including, if appropriate, estimates of sampling error, and a description of any weighting or estimating procedures used. Which results are based on parts of the sample, rather than on the total sample. Method, location, and dates of data collection.